Spring Trail Conditions report . but perhaps most importantly let’s stay informed about where to and NOT to ride. Spider Lake is really soggy as well. Help keep the trails sweet. Stay away until it dries out. went for a ride on west pine, the trail is moist but not soaked, took my fishing rod to try and catch a couple trout, never biking in big boots and a fishing rod again. Ran Fight today. It’s pretty wet in the usual spots. With the wind & rain over the last few days it has knocked down a lot of trees. You can come up on them quick so keep an eye up. I may see how Bowater is doing later today, rain doesn’t bother it, curious if there is still ice in there. I went for a run at Bowater this morning. Ground was frozen, that will change as the temperature warms up. The lake loop still has some ice on near the lake at the bottom of the hill (further away from the dam). I walked that section. I would dismount if I was biking (…my current mtb bike level is beginner). Highway side of the power line cut has some small icy patches that has trail debris frozen in it. Usually no longer than 3’-4’, just be cautious. Pipeline rd. 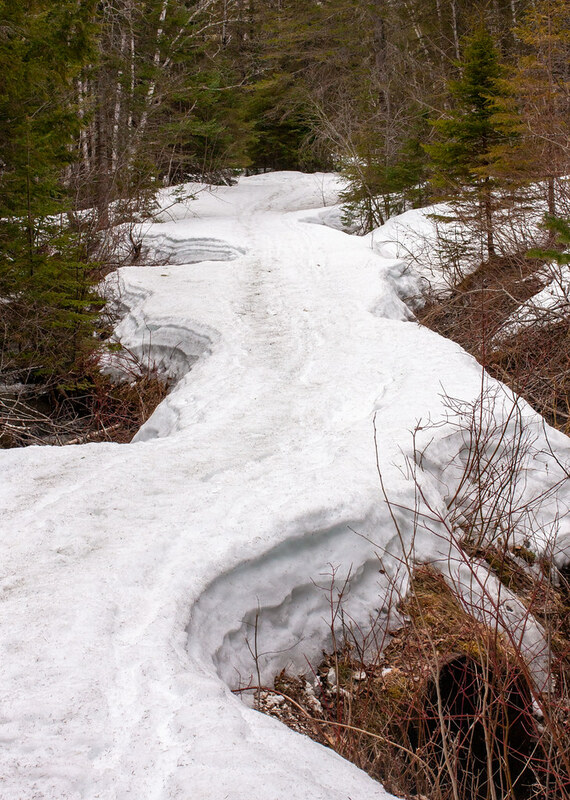 side of the powerline cut has a couple of ice patches on the long straight section near the atv trail. @Honeybeard yes very helpful. And welcome to the forum! I went down to Hillsborough today to check out the trails and clear some trees that had fallen. About a foot and a half of crusty frozen snow. Although my weight was post holing past my knees still. 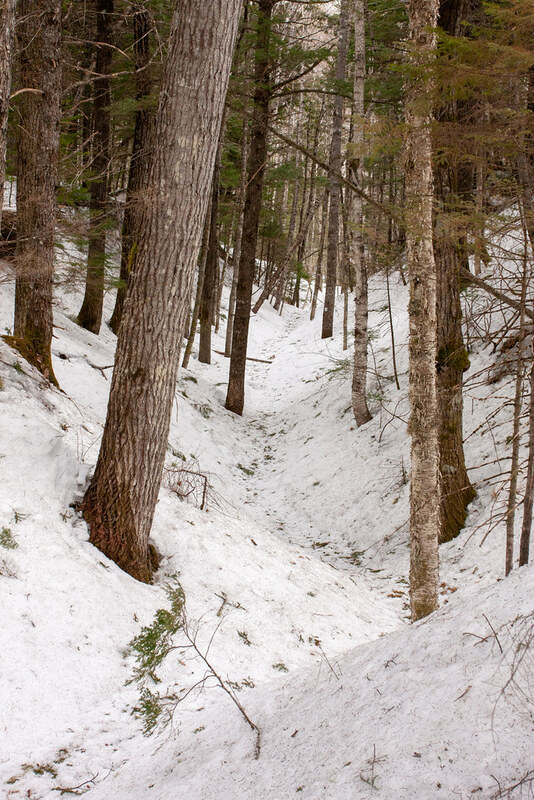 I cut some trees out and gave up on hiking as it was too difficult to walk without snowshoes. I can’t wait to get back in the woods here. At least I was able to ride Fight a couple times last weekend. Anyone been out and about in HRM today? Wondering if the sub zero temps last night and today caused any significant freezing? Ripped through Shubie, the main paths are plowed bare other spots foot packed pretty well, the singletracks are totally rideable with 3" tires. Theres like half feet of soft snow all over granite at fight, and daminion to flip soft covered snow over icy foundation. Great for snowshoeing. 1 month a year we need steady snowfall with -6 to -8 temps with no wind. And fresh powder to fall every Friday and Saturday night. Zero rainfall. How good would that be? Anyone been to keppoch lately? Read on FB they were giving the trails until April 20 to dry out before they start their spring maintenance, and then they hope to have an update by May 1st. Hmm didn’t see that post myself, thanks!